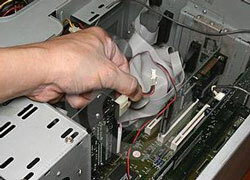 IT company specializes in services and computer repair including installation of hardware and software based in Kuala Lumpur, Malaysia. Our company other main activities are to provide servicing and maintenance of notebook, LAN or servers, printers equipment and networking infrastructure. Despite its small beginning, MINDA TECH SERVICES SDN BHD with itself confidence and highly personalized approach in meeting and served any clients needs the government, corporate sectors, corporations, industries, institutions and the general public. Read more..